Free tours of Belgrade by tram are organized on Fridays and Saturdays, in Serbian and English language, accompanied by a tourist guide. All those who want to learn about the city by driving in tram can apply the Info-Center of the Tourist Organization of Belgrade in Knez Mihailova Street. Space is limited to 35 persons per tour. 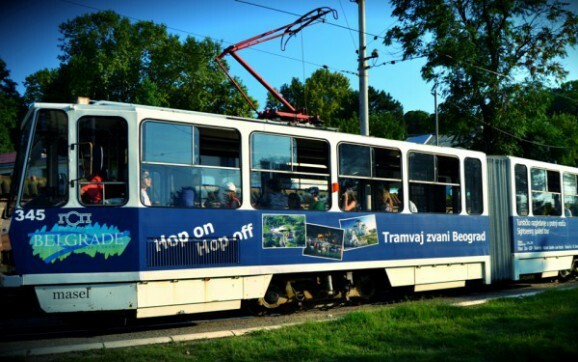 Explore Belgrade by tram ! The route begins at the station near the walls of the Belgrade Fortress and leads further, to the French Embassy and along the Sava River, which divides the old town from the new part of Belgrade. The following route is full with buildings of the former ministries, and reveals the idea behind the architecture of Nemanjina street, which was projected as a metaphor of the river Sutjeska. Tour is 60 minutes long. Tell as in the comments which is your favorite among 5 most popular tours in Belgrade?